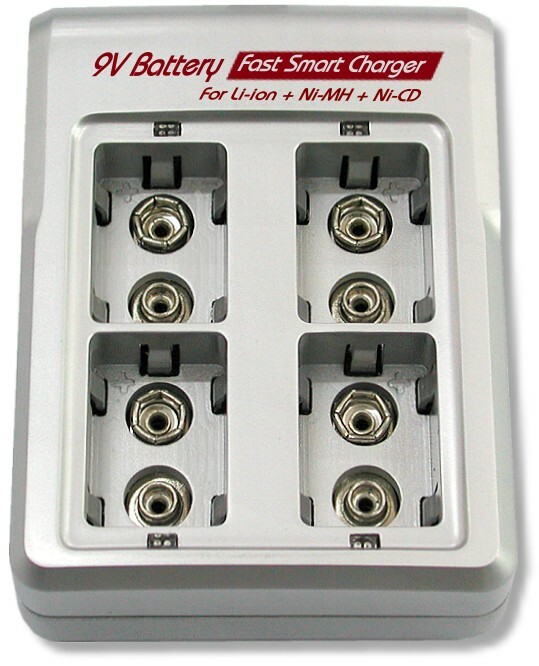 4 channels independent charging each 9V battery. Super fast charge Li-ion 9V battery in 1 hour. Auto detection, auto protection and auto stop. Negative delta V and zero delta V program control. Auto protect with voltage and timer control. Auto detection and charging 7.2V / 8.4V / 9.6V battery. Super fast charge Ni-MH & Ni-CD 9V battery in 2 hours. Max. transient current up to 2500mA/sec. Build-in Protection IC to control over-current and voltage. More safety and long lasting power.